A nice morning beach bike ride is the perfect way to start the day in Florida. What a blessing to be able to wake-up to a sunrise peeking through your blinds, and know you will be out in Nature's own playground in just a few minutes. The lady and I popped our mountain bikes into the back of my pick-up truck, and headed down Gulf Blvd. to Caddy's for breakfast. Eating right out on the sand just serves reinforce the idea that living in Paradise is much to be thankful for. At 8:30am, we easily beat the crowd. We ordered the Eldorado omelet, with an extra egg, so we could split it. Since we both eat Paleo (about 95% of the time) we substituted sliced tomatoes instead of grits. We also ordered a bowl of fruit, instead of toast. From Caddy's, we headed across Blind Pass Bridge into St Pete Beach, for a visit to Lenny's Surf Shop, which also functions as a low-key, high-quality bike repair shop. I wanted to pick up an extra tube, and she needed to have her seat tilt adjusted. Plus, spending time with the owner, Lenny Stamos, just adds to the goodness of the day. 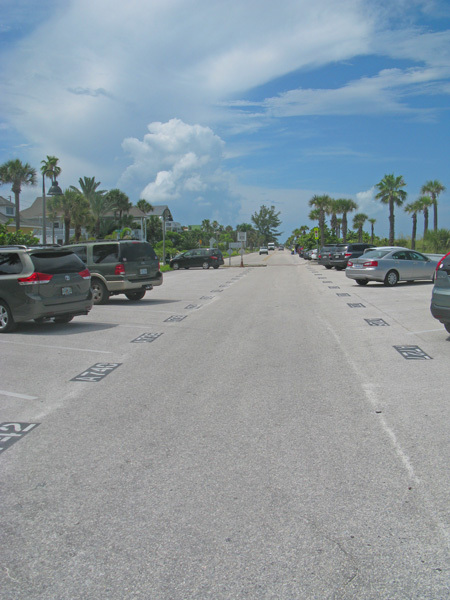 Our destination was Pass-A-Grille Beach. This ultra-quiet, laid-back Gulf Coast community is a great place to ride. There is NO development on the ocean side of Gulf Way, traffic is almost non-existent before 11:00am, and there are many beautiful homes to see. This shot was taken at the end of our ride, about 11:30am. Even though it is July, and school is out, there are hardly any cars along this one mile strip of Gulf Way. 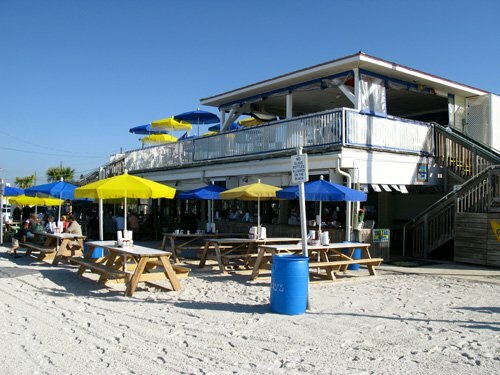 This is what the Florida beach lifestyle is all about. Easy days, pleasant weather, and closeness in relationships. Your retirement lifestyle is enhanced with a home business. I am so fortunate that I have an internet home business that allows me the freedom of making money wherever I bring my laptop...and that I am able to write-off so many expenses. For instance, I use my old beat-up 1992 Trek 7000 Mountain bike to get a lot of photos (and stories) for my various sites. I just had a $457 overhaul done...and according to my accountant, it will be tax-deductible. Why? I only use it when I need transportation to specific photo-op areas. Now think about it...how much better can it get than to take a morning beach bike ride in Paradise...and be able to make a profit from your experiences? It's not that difficult. 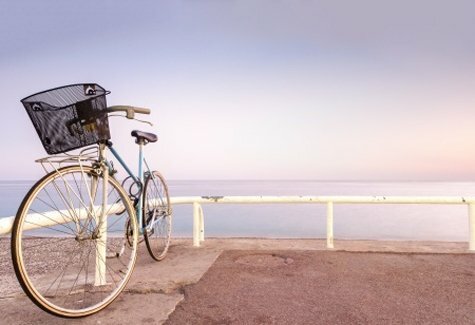 Anyone reading this little article about something as simple as a morning bike ride on the beach can come up with an online business that makes money. All of us have been given creative powers by God, and we bless Him when we use them them to uplift others. Trust me, you have what it takes to be a success online. You have observation prowess unlike anyone else, and if you are unsure of your expressive skills...well, you will improve each day. Getting started is half the battle. I do not know where I would be without Solo Build It. I'm not saying it is the best system for everybody, but it has made me a lot of money, and I am grateful.